With public help, Jasper Police were able to nab a man suspected of stealing from the Jasper Rural King. Tuesday afternoon, the Jasper Police received a call from the south-side retailer advising them that a male subject, later identified as 27 year old Darrel Harris Jr. of Huntingburg, had walked into the store barefoot and walked out a short time later wearing a pair of boots. Police say Harris was observed on video surveillance and his photo was sent out requesting the public’s assistance in identifying him. After receiving several calls regarding his identity, Harris was located at his place of employment and taken into custody. Police state Harris stole a pair of Keene boots and a pair of socks; a total value of $186.00. 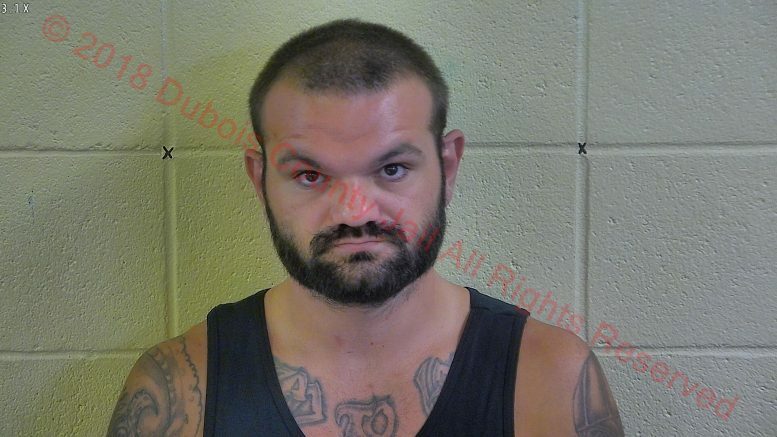 Harris was booked into the Dubois County Security Center on a misdemeanor count of theft. The Jasper Police Department thanks the public for their assistance in identifying Harris. Be the first to comment on "PUBLIC HELPS JPD IDENTIFY RURAL KING THEFT SUSPECT"